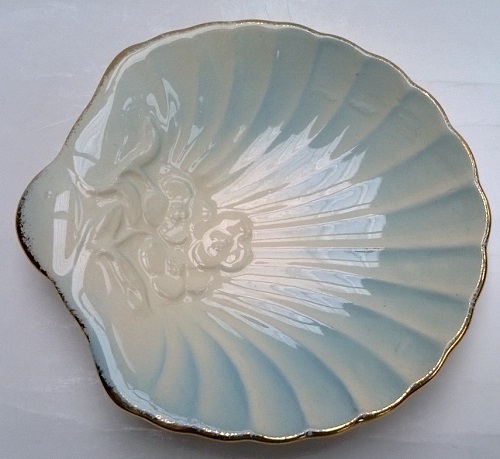 So pleased to get this beautiful little dish with it's gold edging and soft blue colours. The little flowers are on many Crown Lynn pieces from this era and alerted me to this piece. Gorgeous! Good spotting Ev !